Discussion: An update on me! I am not sure many of you remember me! I posted in this forum several years ago and made some good friends. Hope everyone is doing well! I wanted to send in a few updates from my side! My lack of knowledge of French made me use Google Translate and not post much! Also I don’t get most of the puns/jokes! Sorry for being a silent spectator. So an update from me! My eldest daughter got married! She married a tamil of Pondicherry origin but was born and raised in France and are settled in Rennes! I now come once a year to Rennes and am slowly starting to read comic books I have never been exposed too. The recommendation you folks gave about the Latin Quarter has been the best piece of advice I could have even gotten! I sometimes spend hours hanging out at Aaapoum Bapoum and gazing at the beautiful collectibles in the various Album stores! I wanted to ask you folks a question, more so a newbie question. I am slowly buying a few collectibles and have bought a few over the years, but just wanted to check with people if they had a recommendations of where they buy their figurines. Since my daughter is now in France I can ship it there, the least she can do for her old man . I was able to find, i-magier, la marque zone, ya—too, collectorbd. Any other recommendations would be very greatly appreciated! Thanks again folks! If anyone is around Rennes please do let me know!! Hi supermario, let me call you "super"
Dernière modification par Cym ; 03/04/2016 à 09h22. If you are in Rennes, maybe you can come to my shop in Lorient, it's 1h30 from Rennes. 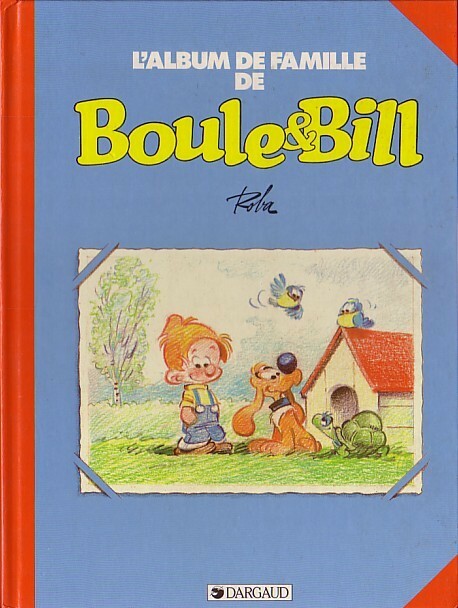 And you can see in this shop a surprise about "boule et bill"
Thank you CYM! This helps as this book was not translated to English! No wonder I could not fix it! Milhouse! Will definitely visit next time! I was in Saint Malo this time and it was beautiful! Mormiter my friend! How are you! Everytime I see a bollywood movie shot in Switzerland I think of you! My wife and daughter make fun of me! . It is very kind that you still remember the Sirius! I am touring Switzerland in Summer (June) Mormiter! Wow! It doesn't get much more international than this: an Indian man with the user name of an Italo-Japanese video game character on a French-speaking forum I'd be interested to know how you first got to know about BD characters and how you came to develop a taste for them. I know the publishing house Cinebook has been working on making franco-Belgian comic books better known around the English-speaking world but are they that popular abroad? Did you mean "Billy and Buddy"? Dernière modification par Branché ; 04/04/2016 à 23h21. Boredel !!! Je pige que dalle !!! Several people were curious about how European comics are popular in for someone in India. After some thought I was thinking this could be a fun experience to share the story with you folks. India is a LARGE country. Comics in India were primarily restricted to Tarzan and Superman with some native Indian comics. But there is the souther part of India which have the localities (State: Tamil Nadu and Union Territory of Pondicherry). They are unified in the fact that they speak the tamil language. Tamil is also spoken in parts of Sri Lanka. Most of the fans are of the fanco-belgian genre are tamil. This is mainly because in the 1960s a small comic company started legally acquiring rights to publishing Franco Belgian comics. Their name is Lion comics. You can find their website here. You can find it hilarious to find the title you know and are familiar with in Tamil. Their website is : http://lioncomics.in/ and if you hover over the all comics tab you can see the various list of titles. They recently published collectors edition is: http://lioncomics.in/1063-minnum-maranam a compilation of 13 Blueberry stories. I think the next up is a limited edition of all 18 XIII books. Not sure though. Since the 1960s they have had a loyal following an have made comics accessible to everyone speaking tamil in Pondicherry, Tamil Nadu and Sri Lanka. 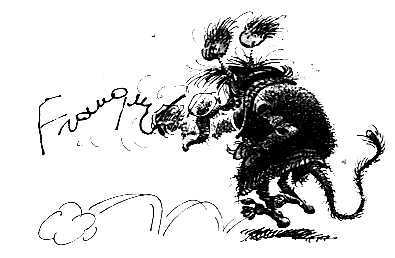 This was the reason why so many people like Franco-Belgian comics. As for the explanation of my username as Supermario: My youngest was keeping on playing his Supermario Gameboy without doing his homework that day and I took it from him till he finished it. So the name Supermario was stuck in my head and that is why I used it. This is so... unexpected! Thanks for all the info. Tamils read Chick Bill and Léonard. Dear Mormiter, Branche! Thank you! It has been a while since I posted! I have quietly followed all your postings! I love all the effort put in by everybody to discuss their love of Para-BD. I stopped collected last year due to two bad experiences! An auction house in Belgium caused me a lost of almost 3200 Euros and a dealer in France with whom I had a very bad experience! But I still read the forum from time to time. A lot of people like folks in CollectorBD and Ya-Too very helpful in building my collection before! Thanks to Stephanie! As you might remember that I was an automobile engineer, I had retired but got an offer to work for Tesla in California! I could not pass on this opportunity! I now work in the USA! Electric cars!! If any of you visit California, please let me know! We always have a spare bedroom you can use!! Hope everyone is doing well! Mormi and Branche!! And others! Hope the summer is going well! Ça fait un moment que j'ai posté! J'ai discrètement suivi tous vos messages! J'aime tous les efforts déployés par tout le monde pour discuter de leur amour pour Para-BD. J'ai arrêté de collecter l'année dernière à cause de deux mauvaises expériences! Une maison de vente en Belgique m'a fait perdre près de 3200 euros et un concessionnaire en France avec qui j'ai eu une très mauvaise expérience! Mais je lis toujours le forum de temps en temps. Beaucoup de gens comme CollectorBD et Ya-Too ont été très utiles pour créer ma collection auparavant! Merci à Stéphanie! Comme vous vous en souvenez peut-être, j'étais ingénieur automobile, j'avais pris ma retraite, mais j'ai eu une offre de travail pour Tesla en Californie! Je n'ai pas pu transmettre cette opportunité! Je travaille maintenant aux USA! Voiture électrique!! Si vous visitez la Californie, faites-le moi savoir! Nous avons toujours une chambre de rechange que vous pouvez utiliser! J'espère que tout le monde va bien! Mormi et Branche !! Et d'autres! J'espère que l'été se passe bien! Welcome to USA ! I am just flying right now to America, but on the other coast (New York !) for a ten days holiday trip ! Thanks for your update ! Working for Tesla : Nice ! I also used to work for them these past four years, in France, to deploy superchargers. It was too awesome of an opportunity to pass up on! Hope your pilot friend likes it!